Now that the house is paid off we’ve put our savings on autopilot. It is nice to have our multiple income streams go towards something other than the mortgage company! Lately, we’ve been saving up for buying a new car and going on a big family vacation in October. Our car has lasted 9 years, has 180,000 miles on it, and is one of the big reasons we’ve been able to achieve debt freedom. On top of that, the entire family has made a lot of sacrifices along the way, so we are rewarding ourselves by going on a Disney vacation. Our multiple income streams help assists in making this big purchases possible! Pension – [2018 Goal $1308] [made $545 in 2018] – didn’t lift a finger this past month to cash in on my previous employer’s pension and collected $109. Sweet! 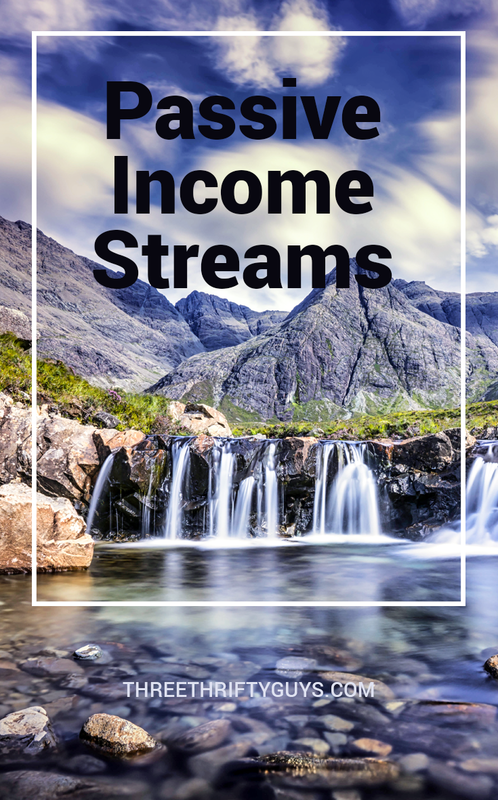 Blog Income – [2018 Goal – $7500] – [made $2939 in 2018] – the blog income is going to take a sizable dip for a while. I’d expect my AirBnB income to soon start being my primary alternative income source. AirBnB – [2018 Goal $10,000] – [made $3472 in 2018] – May was our biggest month ever, since starting AirBnB back in September 2016. I am continually amazed at how helpful this income source has been to our family! Has me considering AirBnB’ing my own home next year after we buy another house. Schwab Monthly Income Fund – [2018 Goal $25] – [made $5.02 in 2018] – my biggest month ever with this easy and simple income source. All of this money has been from selling eggs on the side! Cha-ching! Do you guys have a podcast, if so what is the name? Hi Marcia. We’d recommend checking out Bigger Pockets for getting into rental properties. They have a lot of information / free advice through their podcasts and Youtube channels. What type of online business do you want to start? Our advice would stem from what you may be interested in / wish to start. No podcast yet – but maybe down the road! What would you like to hear about?